Tags: golf, Phil Mickelson, Tiger Woods. 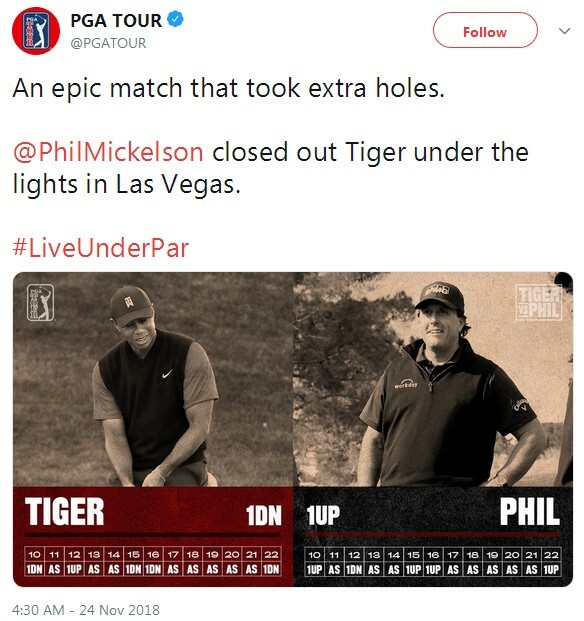 It was Friday night beneath the lights of the 22nd hole that Phil managed to beat Tiger for the $9,000,000 prize. Tiger Woods and Phil Mickelson are long-term rivals who gained popularity in the late 1990s to mid-2000s as the two best golfers in the world. Capital One's ‘The Match', a televised winner-take-all golf competition, needed 4 more holes from Shadow Creek Golf Course in Las Vegas in order to decide who is the winner of the $9 million bounty. Right after Tiger missed on a birdie putt of 7 feet 8 inches on the fourth overtime hole, Phil pushed through with a winning putt of just over 4 feet. This special match allowed golf fans a rather unique insight that doesn't happen very often. 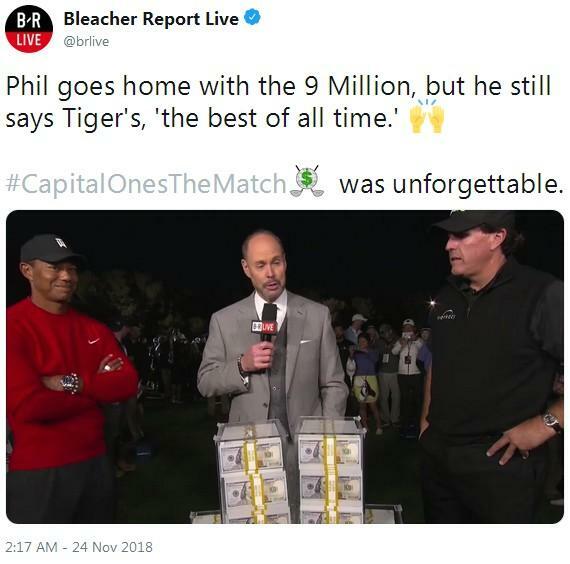 Tiger and Phil were both mic'd up throughout the entire match so everyone can hear what they were saying, from Phil talking about college football highlights with his caddie (his brother Tim), even Phil's notable heavy breathing, to Tiger gawking over actor Samuel L. Jackson's introductions. Of course, while the two golf legends had shown their professional camaraderie and sportsmanship, The Match is not immune to some flaws. For one thing, there was a point when a nonstop talk coming from both Tiger and Phil since their mics went on along with the commentators'. There was a time in the match when Phil, Tiger, their caddies and other commentators' voices were all heard simultaneously. Also, since this match is occurring on a golf course where pros seldom make long conversations and if they do, it's often about discussing their next shot with their caddie, which, for the listeners, it was really kind of awkward for them. During the showdown, the two golf legends made side bets to make things more interesting and they decided to give the money to a charity of their choice. 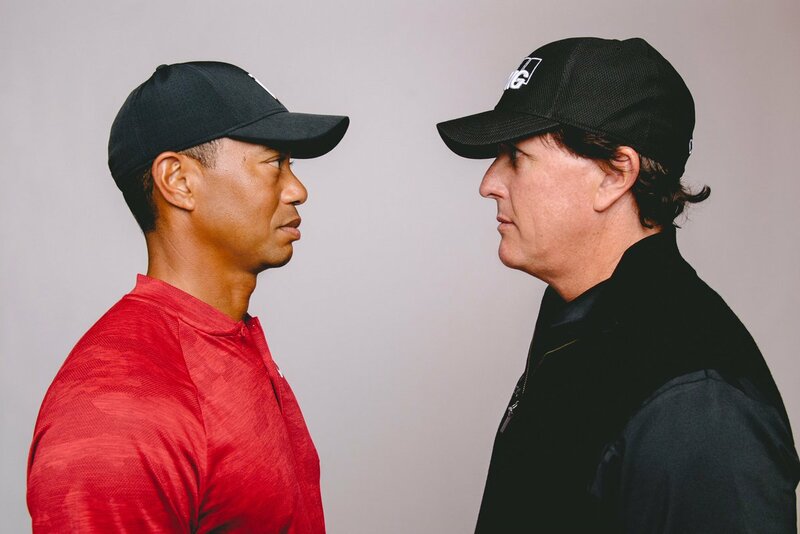 Earlier before the match, Tiger and Phil held a press conference and flung some smack talk, which included some big numbers on a first side bet - Phil wagered $100,000 that he would birdie the first hole, to which Tiger confidently said, "Double it." At the very first hole, Phil lost the side bet since he needed a birdie to get $200,000. However, after that he went 3-for-3 in winning closest to pins, reaching $600,000. Phil said after he won, "My heart can't take much more. This has been such an incredible opportunity to have a day like this with Tiger. He's the greatest of all-time. But to have a little bit of smack talk for the coming years means a lot to me, because I really don't have much on him." With this win, Phil Mickelson earned more in just a single day than PGA Tour leading money winner Justin Thomas, who won a total of $8.7 million last season. CLICK HERE for detailed scores and hole-by-hole summary of the match. CLICK HERE if you are looking for deposit and no deposit bonuses to bet on golf and other sports! 11 comments for "Tiger Woods vs Phil Mickelson in The Match"